Bathroom Remodeling involves a multi-step preparation and execution, but we’re great at explaining the process and pulling it off exactly as you imagined it would be. It is of central significance to us that you play a leading role in your project from meeting with our design group to approving work well done. Read more about our bathroom design team and how they work together to create your perfect space. We’ve done this for years to create ideal home spaces for an interminable stream of fulfilled clients. We repeat the process because it works. 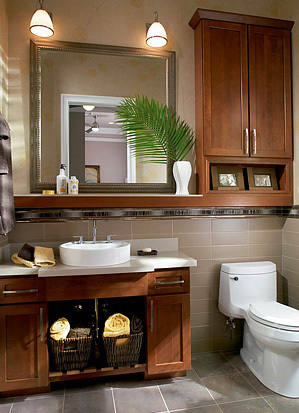 Every successful bathroom remodeling project is built on the foundation of a client’s individual taste. Therefore, our skilled designers will meet with you to explore every option from fixtures to tubs and shower surrounds. By the time we’re done working with you on your bathroom design, you’ll have a beautiful, functional space that lasts years. It will also improve the value of your home. We break the design process into a series of meetings that take place in your home and our showroom. First you confirm the design, then we’ll create blueprints and start the remodeling process in your home. Vanity choices are more numerous than ever before. They are one of the most striking features in any bathroom remodeling project and it’s easy to see why. 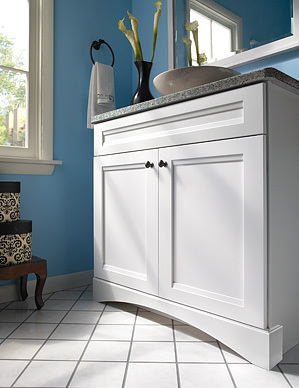 They support lovely sinks and fixtures and serve as a visual focal point. It’s important to choose the right vanity, since they’re the dominant piece of furniture in the room. 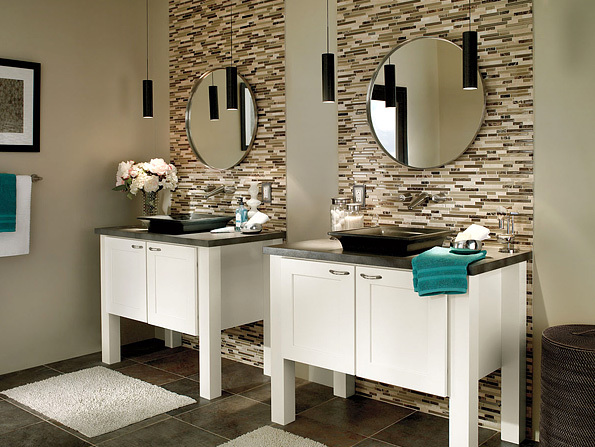 Because of this, you can really set the tone of your design through which vanity you pick. Choose from granite, marble, travertine, quartz, glass, steel, and more. We’re looking forward to showing them all to you. Contact us if you’re ready to see your perfect bathroom sanctuary.